When people think about the hundreds of thousands of different pieces of software in the iTunes App Store, they often call to mind images of the many fun games that are available. They might even think about apps that help you track your finances or find out who that actor is that you recognize but just can’t seem to place. Many people don’t realize that there are also thousands upon thousands of high-quality healthcare apps in the App Store that are just waiting to be downloaded onto your iPhone. 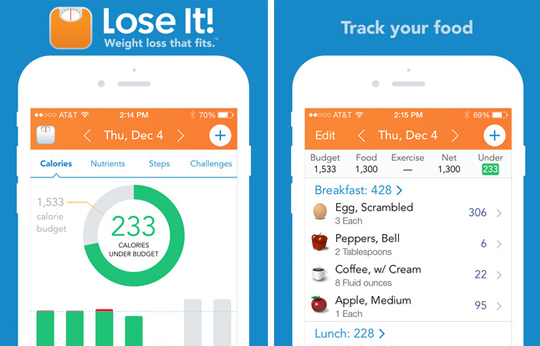 The top five iPhone apps for healthcare are definitely worth a download. If you’re looking for the best way to keep up-to-date on all of the latest news in the world of medicine, “The New England Journal of Medicine” app is what you’ve been looking for. The app features a daily feed that includes breaking news stories on medical issues, health alerts and more. If there is breaking news in the healthcare world that you need to know, the app will make sure that you do. 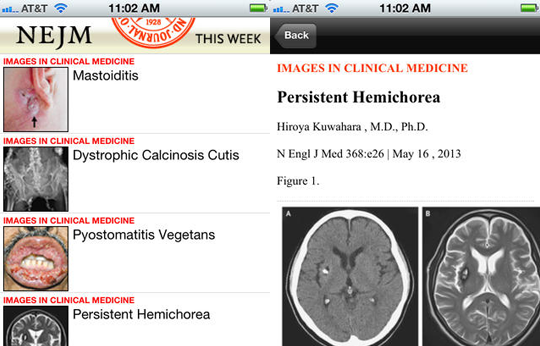 NEJM app is available free download on iOS app store. Lose It! Is an application both designed for people who are trying to lose a little weight (as the name suggests) and for people who just want to live a healthier lifestyle. It allows you to keep detailed records about what you’re eating and will automatically show you how many calories you’ve had, what percentage of your daily vitamin and mineral intake you’re currently at and more. Download Lose it app for free from iOS app store. If you’ve been desperately trying to quit smoking but as of yet haven’t been able to find the motivation to do so, QuitIt may just be the solution you’ve been looking for. On the surface, it’s an app that tells you exactly how long it has been since your last cigarette. It breaks that information down into numbers that you can understand, however, as a way to increase motivation. It shows you how much money you’re saving by not smoking, what that money could potentially buy you, how much tar you haven’t had since you quit and more. 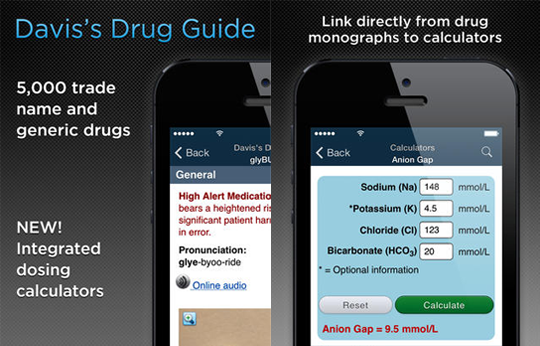 Whether you’re taking one medication per day or many, Davis’ Drug Guide is a great way to help make sense of it all. Not only does it compile detailed, accurate and up-to-date information about more than 5,000 different prescription medications (both generic and name brand), but it also tells you everything you need to know about those drugs in action. It’ll tell you exactly what dose you should be taking depending on your situation, for example. It’ll also tell you which food or drinks you should be avoiding at all costs for the absolute best possible results. 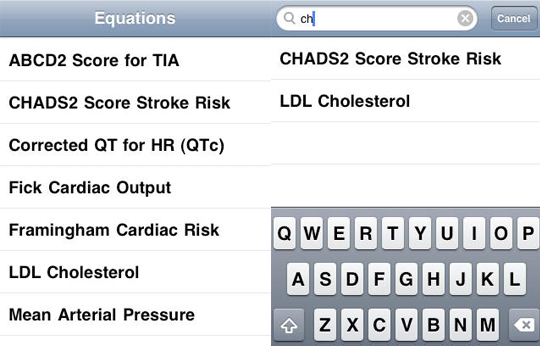 The Cardio Calc app for iPhone users is specifically designed to help patients manage hyperlipidemia or other cardiovascular diseases that they may have. It not only acts as a comprehensive guide to treatment, but it also tells you what types of activities you should be avoiding due to an increased cardiovascular risk. We hope these iOS apps will help our readers in keeping their new resolutions of maintaining good health alive throughout the year. Many people don’t realize that there are also thousands upon thousands of high-quality healthcare apps in the App Store that are just waiting to be downloaded onto your iPhone. 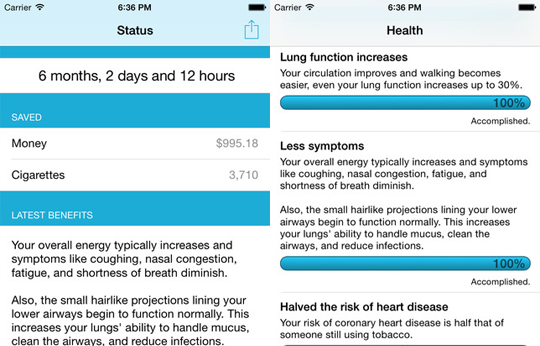 The top five iPhone apps for healthcare are definitely worth a download.